Week Long Workshops are designed for those full-time retreatants who would like to interact with one workshop leader for the entire week. Depending on how the class is designed, it may contain multiple topics or a single topic that is related to the workshop title. The workshop leader remains the same with each session. Please see the Single Sessions starting on Page 8 if you are interested in a sampling of workshops or only attending for a day or two. You can sign up for one A.M. Week Long Workshop OR five A.M. Single Sessions. Rev. Normandi Ellis (www.normandiellis.com ) is an ordained Spiritualist minister, clairvoyant, astrologer, and priestess of the Goddess Isis. Author of 14 books on ancient Egyptian mysteries, including many Egyptian books on metaphysics, magic, myth, and travel, her many works promote empathy, understanding, and planetary peace. She teaches Spiritualism and metaphysics in the Chesterfield Spiritualist College at Camp Chesterfield, Indiana. Do you ever wish you could pull something out of a magical hat that would make life easier and more joyful? You already have the ability to do just that. This week you will discover, or perhaps re-discover, spiritual resources available to you. Some of the experiences you will have in class are the Sacred Heart Blessing, Animal Spirit Guides, your Personal Dragon, a Healing Journey for your Body, Energetic Protection and Releasing Negative Energies. Joyfully you will create your own spiritual toolbox, your magical hat of possibilities as you partner with spiritual resources available to us all. 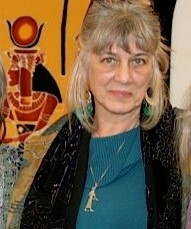 Mary Lemons (www.healingwholeself.net) is founder of Inner Awakenings, a holistic healing practice for all species. Since the 1990s, Mary has taught workshops and lectured at spiritual conferences throughout the United States. She is a spiritual intuitive and animal communicator, a Healing Touch Practitioner, SoulCollage® Facilitator, and Reiki Master. 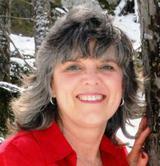 Mary is certified in Thymo-Kinesiology for both humans and animals. She incorporates her animals into her work when teaching at her family’s LL Quarter Horse Farm in North Carolina. Week Long Workshops are designed for those full-time retreatants who would like to interact with one workshop leader for the entire week. Depending on how the class is designed, it may contain multiple topics or a single topic that is related to the workshop title. The workshop leader remains the same with each session. Please see the Single Sessions starting on Page 9 if you are interested in a sampling of workshops or only attending for a day or two. You can sign up for one P.M. Week Long Workshop OR five P.M. Single Sessions. We all live in an electrical universe. There is a unifying field underneath everything. We are separated by a physical plane, but we are all connected through this spiritual grid. This is important for us to understand, not only for life, but for any kind of physical and spiritual progress you can ever hope to make. Your aura is like a fingerprint; it is completely unique and represents precisely who you really are. Learning to read and protect your own aura can be important to your physical, emotional, and spiritual health. The Possibilites of what you might see by looking at someone's aura are endless. However, if your aura is riddled with imperfections, you are unlikely to achieve your most important goals in life. Your aura defines your past, your present, and your future. In this class, we will belearning how to see someone's arua which can tell you a great deal about that person's character. We will also discuss the importance of a cleansed aura and how to remove those imperfections that surround us. The results will be life changing! Kenneth Bede (www.aura-illumination.com) is a certified medium and ordained minister through the Indiana Association of Spiritualists. 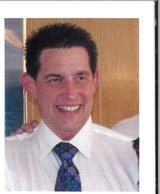 He has attended a wide variety of classes and workshops in the last 20 years. He has been lecturing and teaching aura and chakra awareness since that time. He also owns and operates Aura Illumination, providing detailed aura readings. The magic of Egypt is timeless and can find you wherever you are. Discover how the ancient Egyptians lived, perceived the after-life through practices of divinity, truth, and balance, and how you can incorpoate these same principles in your everyday life to create magic, connection, and a deeper understanding of your own subconscious desires and fears. 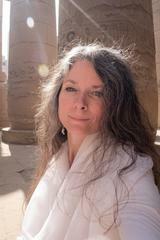 Amy Auset Rohn (www.goddessinside.com) is a Priestess of Isis, harpist, spiritual coach, and Orcalse who leads others on a journey back to themselves through the magic that is Egypt, the body, and intuition. She teaches workshops online and on location, offers readings in person or via phone, and healing music based on the numerology of your name. You can find out more about her upcoming courses and how to work with her one-on-one at www.thegoddessinside.com and her music at www.thelittleharpist.com. You can see the way she sees the world, use her images to bring healing to thy self, and help entrepreneurs with their social presence and branding images at http://www.ausetimages.com.